Lately I’ve been spending way more time on YouTube than I care to admit. But with so many talented filmmakers and vloggers on the video platform; I’d rather spend my time than there than watching cable TV. Let me introduce you to my five favorite life vloggers. My favorite YouTubers have a couple of things in common. They show us that every day life is makes great source material for telling interesting stories. They know to handle the camera and edit their videos. They all are distinguished personalities. Just like Hollywood stars they have particular characteristics for which they are liked and easily recognized. And because these guys upload new material on a regular basis –some of them daily– you start to feel a connection to them and you feel part of their world. These YouTubers become virtual friends. Finally, they inspire me in my own endeavors as a Dutch vlogger with a focus on comics. Bike Lanes is a classic and still one of Neistat’s best YouTube videos. 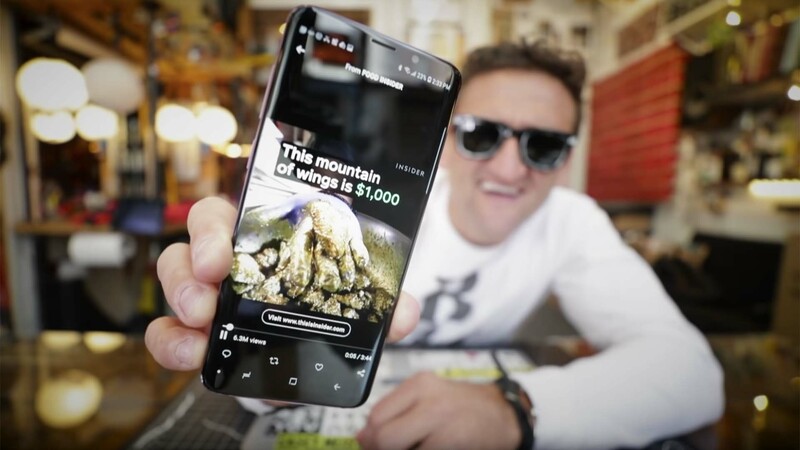 Casey Neistat is a great storyteller and uses narrative techniques to transform his daily adventures into captivating and fun videos. I especially love his positive, go-getter attitude. Neistat may well be the most positive vlogger on YouTube. He’s also one of the most prolific. Neistat vlogs about his life in New York City. He also does tech reviews and covers miscellaneous stuff like golden chicken wings that cost 1000 dollars per portion. Sometimes Casey makes inspiring, motivational videos. Neistat started out making videos with his brother. Their big breakthrough was a critical video about the iPod batteries having a short life span and Apple not providing a battery replacement program, aptly titled iPod’s Dirty Secret (2003). The video got picked up by the media and eventually lead to Apple changing its policy. In 2011 Neistat published a brilliantly funny video in which he criticized New York City Police Department’s ticketing of cyclists for riding outside of the marked bike lanes. Neistat vlogged almost daily from March 2015 until November 2016. A couple of months ago he returned to vlogging on a regular basis for his new media company, 368. Currently the creation of his new creative breeding ground is still a work in progress. It’s very exciting to see where Neistat will go next. Cath in College is exactly what the title promises to be: to show what’s it like to be a college student. The main character of the videos is Catherine, a student at Standford who majors in Science, Technology, and Society with a focus in Media and Communication. Not only does ‘Cath’ make us part of her college life, she is also very open about her thoughts and her personal life. Her channel is like a diary of a twenty-something woman in the 21st century. Catherine posted her first video on June 7, 2013, about her high school graduation. Most episodes are filmed over the course of a couple of days, but the story is presented as if it’s one the same day. This gives Cath’s vlogs a real slice-of-life quality. She obviously put a lot of effort in making these vids, but she managed to keep them looking natural and real. Because vlogs sometimes make real life look more glamorous than it actually is, Cath made this video, literally a day in the life. On her website CathinCollege.com Catherine has been blogging to her community. She even invited her followers to submit their own day-in-the-life videos, like this one. I find that very sympathetic. This way she creates a web of experiences that go beyond Catherine’s knack of the woods. It’s an interesting and positive way to use one’s star power. More than 18 million people subscribe to Jenna Marbles’ YouTube channel. And it is easy to understand why. Marbles has a very warm personality, a positive attitude, and she makes videos that are a lot of fun to watch. Jenna Marbles published her first video in 2010, which was an instant success receiving over 5.3 million views in one week. Marbles covers every day life stuff like buying a house, her boyfriend cooking her favorite meal and getting a hamster. But she mixes it up with weird experiments like camouflaging herself into a chair (the main image from this article is from this video), transforming herself into a dog, or giving advise on things that girls don’t understand about boys. She’s such a big star on YouTube that people are making compilation videos about her and her boyfriend, to which Jenna and Julien then respond to. Like with Casey Neistat, the Jenna we see on screen seems to be the real thing and not just an act. Kent Heckel started vlogging on March 11, 2014, when he was 18 years old and in his senior year in high school. Most of his vlogs deal with his life as a mass communication college student. Subjects in Heckel’s vlogs range from dorm room tours and life on campus to how to party big at a small college. He also makes vlogs about lifestyle subjects like happiness, friendship and love. Heckel seems to give you an unrestricted view into his life. Just like Cath in College we get a taste of college life but without the boring classes. For a couple of years Heckel was able to make daily videos, until he dropped out of college to pursue a career as a professional vlogger, making vlogs for a creative company. Since then, he uploads less regularly, focusing more on technical themes such as beating the algorithms of social media or explaining bitcoins. ‘I make movies about the things that make me happy. I hope they make you happy too,’ YouTuber Dan Mace writes in the introduction to his channel. Dan is a South African who currently lives in New York. He’s a close friend of Casey Neistat and has helped him on numerous videos. But Mace’s vlogs are interesting in their own right. They are creative, funny and philosophical. Mace started releasing weekly films only a couple of weeks ago, so he hasn’t published a lot yet. But what I really like about his vids, besides them being well crafted, is the fact that he offers an interesting perspective on every day things. The best example of this is the video in which Dan and record producer Narch use city noises to create a symphony. Dan also reflects on his friends. He made a funny animated film about how Casey Neistat handles his equipment and whether or not YouTube personalities can have real relationships.